In the first part of our travel series we offered 11 great ideas for travelling sustainably, in the second part of our travel series we inspired you to think about planning a tree planting holiday, tackling energy use while abroad and how to save on emissions. In the third part of our travel series CSL offered ideas about greening your hotel stay. Here’s to actively making small changes that can add up big. 1. Take a train to your next out-of-town meeting instead of driving or flying. 2. Ask housekeeping not to change towels everyday. 3. 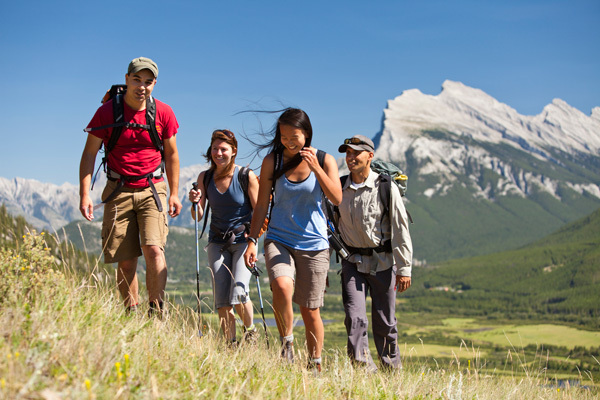 Stay on marked trails, maintain a safe distance from any animals you encounter when hiking and do not feed animals. 4. Pack products that serve a dual purpose. 5. Try a home exchange. 6. Bring a wind-up flashlight. 7. Invest in videoconferencing or other technology to reduce employee travel. 8. Pack fewer clothing items and only those that can be interchanged to create new outfits. 9. Try to stay within walking distance of the attractions you visit on your next trip. 10. Fly non-stop when possible. 11. Take an airport shuttle. 12. Use cruise control when driving long distances. 14. Replace air filter in car regularly. These tips originally appeared in the and Fall 2010, Summer 2010 and Spring 2010 issues of City Style and Living Magazine.